Every gardening center has ready mixed soil specifically for growing vegetables, and if you are only using pots or have a small garden, you might find this is a good route to go. Certainly it's very easy. You don't need to worry about the composition, you just empty the bag into your container or bed and you're ready to plant. 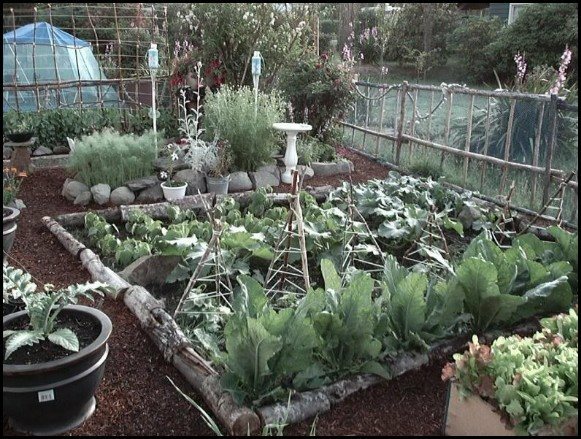 The only thing you have to be careful about as an organic gardener going this route is that you buy a mix that is organic and not full of chemical fertilizer. Most garden centres carry both options, so you should have no problem finding one. 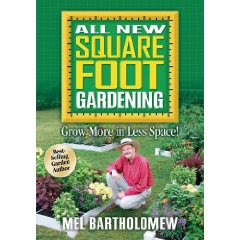 However if you have a garden of any real size, this is usually a very expensive alternative. 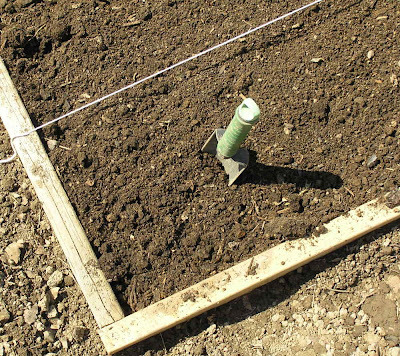 And since mixing soil really isn't that big a deal, it really isn't necessary. In fact mixing can be a lot of fun as the volunteers from homegrownfarming.com found above. some kind of fertilizer. 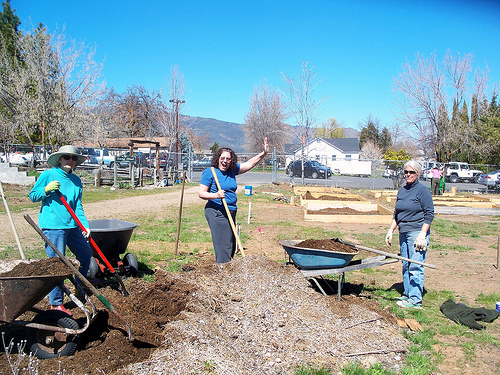 For organic gardening what you want is compost, manure, or a combination of both. You will find other things added as well, but these are the main ingredients. The key of course is knowing what ratios to use, and this is where reading some recommendations can be very helpful. 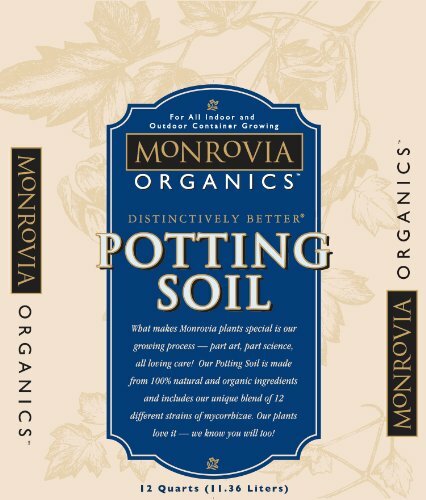 The University of Florida has an excellent and thorough article on why you should use organic soil and explaining all the components. Though it doesn't give any specific ratio recommendations, it's still worth a read to understand exactly what goes into really good growing earth and why. 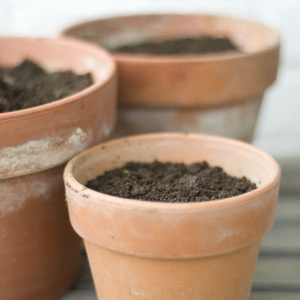 Organic gardening has a post with some specific soil mix recipes, including one for a soil-less mix which looks interesting for indoor gardeners. Hopefully you will find in all these options a mix that will work for you.